Visit a museum with mummies – e.g. the Walters. Puzzle and coloring page. Put the icon in your icon corner. 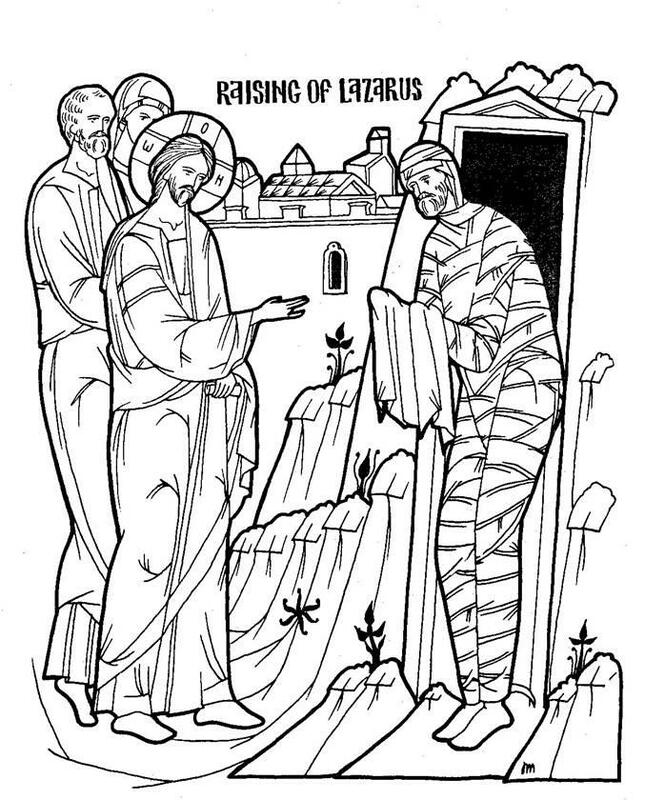 Prayer: Dear Jesus, by raising Lazarus from the dead before Your passion, you confirmed the universal resurrection, O Christ God! Amen. Can you find these hidden words?